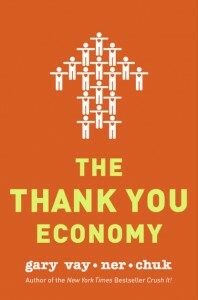 Thank You Economy book Giveaway! *updated March 11, 2011: Congrats to the lucky winner of this Giveaway, Nikki Jeske and a big THANK YOU to all of you who participated! Just send out a tweet letting all your friends know about @pagebreakpdcast, with a link to your favorite episode or snippet — then comment on THIS post and include a link to that tweet. Got that? Step two: Leave a comment on THIS post with a link to that tweet! Step Three: Be sure to follow us on Twitter, Facebook or Subscribe to the blog so that you will get updates when we choose a winner! :) The lucky one will be chosen at random on March Thursday, 10th. If you have suggestions for future books to be read for the show, questions for us or just something you need to say — contact us on Twitter,Facebook, join our GoodReads Pagebreak Podcast group or send us an email. Love listening to @pagebreakpdcst! Keep it up! thanks to an awesome friend for mentioning you, i get to learn some awesome stuff! keep up the great work! Gary Vaynerchuk is so freakin gifted! I would love to win a copy of his book. I wonder if he’ll release and audio version. Gary Has to be heard, methinks. his audio version of Crush It is a fun listen, for sure! Everyone else, THANK YOU for taking part in this, and thank you even more for listening to the show! We’ll do our best to keep producing good content for you and hope to be able to do another giveaway like this soon! thanks for the chance to win. keep up the good work. you ladies rock! And thanks for the chance! !